With a 2-2 draw to Southampton adding to a list of poor performances, the prior ones being a 0-0 draw with Crystal Palace and a dismal loss to Manchester City, Manchester United are in all sorts of trouble. Their Premier League position is such that irrelevance may soon be upon them, and even a top-four challenge looks grim for Jose Mourinho’s men given the sheer brilliance of the sides above them. To add to their woes is a long list of players who may soon leave or be lured away from Old Trafford. Topping this list is David De Gea, who despite Mourinho’s recent insistence and United allegedly activating his extension clause, could still be pried away by the likes of PSG. If that does occur, United may have a contingency plan ready. According to the Mirror, United could pursue Everton’s Jordan Pickford as De Gea’s replacement should the Spaniard decide to leave. Further, the Merseyside club will apparently be pursued to give up their relatively new shot-stopper by a world-record transfer-fee from the Red Devils. The report claims that United may splash as much as £70 million for the 24-year-old Englishman, an amount that would only just dwarf the £66.8 million that Liverpool paid Roma for Alisson earlier this season – the present world-record fee for a goalkeeper. It appears that De Gea is holding out on signing a new deal until his wages see a significant rise. The 28-year-old allegedly wishes to make over £350,000-a-week in his new wage package, the same amount that Alexis Sanchez currently earns for his paltry services. In addition, the Spaniard is also believed to be holding out due to the inability of the Mancunian giants to attain silverware. 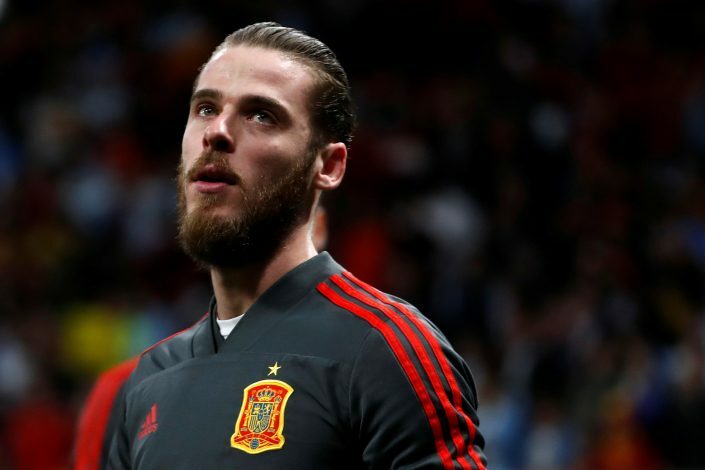 Despite being hailed as one of the best goalkeepers in the world as of recent, De Gea really doesn’t have that many trophies or winners medals to back his claim – an understandable frustration.